WHAT started out as a telecom company's mistimed introduction of a new Internet package is now a full-fledged war over the way we access the Internet. 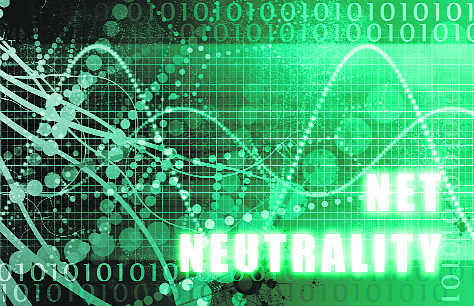 Trouble in the net-sphere began when Airtel offered subscribers free Internet access to a chosen group of websites. Nothing wrong with that per se because companies do offer different types of Internet packages to keep subscribers hooked. But the noisy public relations campaign that signalled the start of the “Airtel Zero” internet plan alerted netizens to the possibility of telecom companies hatching some kind of an insidious game plan. Within a day of the announcement, 140-character angry bytes on Twitter and slightly longer ones on other mobile applications such as Facebook and Whatsapp soon gave way to a torrent of heated articles in print and on the net. All of them criticised Airtel’s move as restrictive and potentially monopolistic. This meant net access to companies that don't pay the telecom operator will be blocked out on the subscriber's phone. In telecom terms, this was seen as violative of the idea of net neutrality. Just days before a final nuclear deal deadline on June 30, Iranian officials in Tehran — where I was attending a conference — were excited that their moral stance renouncing nuclear weapons capability would now be appreciated. With portraits of the Ayatollahs, Khamenei and Khomeini, towering over him, the President of the Islamic Republic of Iran, Hassan Rouhani, declared that Iran would not “hand over its secrets” to others under any additional protocol or any other treaty. Mr. Rouhani who completed two years as President in mid-June, added that while sanctions had had their effect, they had not succeeded in making Iran surrender. He vowed to have the sanctions removed by the UN Security Council. 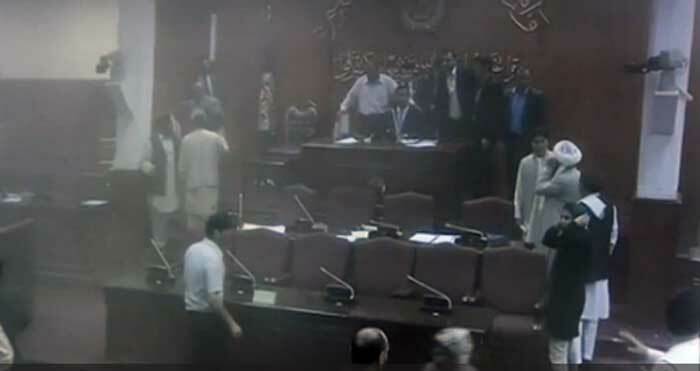 The Afghan Parliament was attacked on 23 June. The Taliban claimed responsibility. Queer, considering that Taliban, has been engaged in talks in overt and secret talks with the new Afghan dispensation, the Pak establishment, the US interlocutors and the latest stakeholders China. Even a decade and half since ‘Operation Enduring Freedom’ Afghanistan faces vicious imponderables. Geopolitical contours of future are difficult to conjure. There are but some tentative outlines. It did kill the Cold War, but gave birth to an Islamic discourse that fed on religious bigotry, fanaticism, Jihadi terror and suicide bombers. 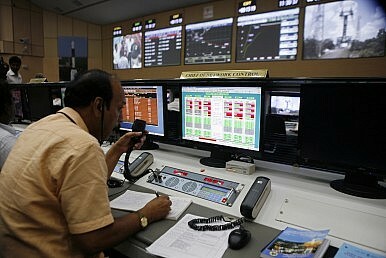 India’s experience with Mangalyaan showed that opportunities for leaps forward do arise. The world rightfully applauded when India’s Mangalyaan spacecraft began orbiting Mars in September 2014. After all, new entries were being logged in the record books: India became the first Asian country to reach Mars, the first country to orbit Mars on its first attempt, and only the fourth country to orbit Mars, with such space heavy-hitters as the United States, the Soviet Union and Europe. But who pays attention to record books any longer when it comes to space anyway? Everyone. The benefits for India to be seen as a space power range from regional and geostrategic influence vis-à-vis China, to raising the credibility of sophisticated space technology produced by Anthrix, the commercial arm of India’s Space Research Organization, credibility accompanied by potentially substantial economic returns. Between February and May this year, three bloggers—Avijit Roy, Washiqur Rahman and Ananta Bijoy Das—were hacked to death in Bangladesh. All of them lost their lives to Islamic fundamentalists who see no space for disagreement in Islam. On 26 March 2015, Masum Akhtar, the headmaster of a madrasa in Matiaburj near Kolkata was brutally attacked for "trying to be a Rushdie." Akhtar identified the predicament he and several other Muslims face today, when he said, "I am not anti-Islam. But my free thinking is not accepted by fundamentalist Muslims who are doing a great harm to the religion.” Maulana Azad, the famed scholar and freedom fighter defended this free thinking in Islam more than hundred years ago. The timing of his defence is relevant to understand the historical context of the contemporary misreading of Islam. The relationship between the May 1974 “peaceful nuclear explosion” (PNE) and India’s later development of a nuclear weapons arsenal and delivery systems has been a subject of much debate. The spectrum of discussion ranges from scholars attributing a strategic vision to the entire early Indian atomic program, to those who argue that the test was inspired primarily by domestic and foreign policy considerations. Yet all discussion has been hampered by a lack of archival evidence. • In the period between 1973 and 1974, Indian decision-makers did not consider a Chinese invasion of India as a real possibility, nor did they see the notion of Beijing using nuclear weapons against India as credible. When Kao had come to Paris to introduce me to Alexandre de Marenches, he was in receipt of a top secret coded message from a senior leader of the Congress (I), a Kashmiri, who was known to be close to Indira Gandhi. It was about the worrisome situation in India as a result of the agitation against Indira Gandhi carried on by Jayaprakash Narayan and others. The Congress (I) leader felt that there was a concerted attempt, allegedly funded by the CIA, to destabilize the country and teach a lesson to her for her independent policies. He also said that he and some others had advised her to impose a State of Emergency and ban all political activities and agitations for a while, but she was hesitant to do so. The message added that since she greatly valued the advice of Kao, he should also advise her on similar lines. Kao sent a coded reply to the Congress (I) leader disagreeing with his views. He cautioned against taking any hasty step such as proclaiming a State of Emergency as it might prove unwise and counter-productive. He also repeated to Indira Gandhi the message, which he had received from the Congress (I) leader and his reply to it. Thereafter, Kao returned to India after his talks with Alexandre de Marenches were over. Over the years, I’ve had the occasion to meet various officials from the Indian Embassy in Washington. They have all at one point or another asked the same questions: “How do the Pakistanis keep beguiling you Americans? How does this rogue state continue to receive billions of dollars of aid and military assistance while supporting terrorism and being an irresponsible nuclear weapons state?” The short answer is that the Pakistanis can extract such resources from the Americans precisely because it is a nuclear-armed menace perpetrating terrorism through its varied proxies. But Pakistan also operates through “soft power” to cultivate American sympathies through “hospitality,” well-spoken lies, and military tourism. Notwithstanding these myriad charms, Pakistan can do so only because the various Americans on the Pakistan portfolio, especially at the operational level (in the field and even at the desks back home), are too often well-intended ingénues, serving their country under difficult circumstances, but nonetheless unfamiliar with the region and America’s vexing relations with Pakistan. This is a “how to guide” that should enable India’s own Ministry of External Affairs to join the game heretofore mastered by Pakistan. Meet the actors behind South Asia’s most under-reported armed movement. 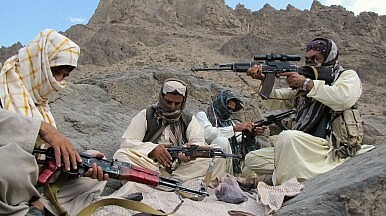 Their existence is palpable across locations of every size in Pakistan’s Balochistan province. The initials of the several Baloch insurgent groups sprayed on brick walls and mud houses across the country’s southernmost region remind us of an insurgent movement the world still knows little about. The Baloch live in a vast territory the size of France boasting enormous reserves of gas, gold and copper, as well as untapped sources of oil and uranium, yet one that is criss-crossed by the borders of Pakistan, Iran andAfghanistan. Islamabad’s exploitation of natural resources in the area, combined with repressive state-run policies, have led to five armed uprisings in the region since the territory was annexed by Pakistan in 1948. China’s habit of blocking Indian moves on Pakistan-based terrorism at the United Nations continues. On Tuesday, China blocked an Indian bid to question Pakistan at the United Nations sanctions committee (per resolution 1267) over the release of Zaki-ur-Rehman Lakhvi, a commander in Lashkar-e-Taiba, an anti-India terror group, and a central planner in the November 2008 terror attack on Mumbai which claimed over 160 lives. Lakhvi was released on bail by a Pakistani court in April, a move that India alleged was in violation of resolution 1267. China’s justification for blocking the Indian request—which sought clarification from Pakistan over Lakhvi’s release—was that India “failed to provide enough information.” The move is the latest in a series of recent moves by China to block or stall Indian proposals on countering or sanctioning Pakistan-based terrorism. US' Country Reports on Terrorism 2014 reveal three disturbing trends that go against our national interest. There are three disturbing trends brought out in the latest Country Reports on Terrorism 2014 released by the US State Department on June 19, 2015 that affect India’s national interest. The first is the rise of the Islamic State (ISIS) as world’s number one jihadi terror group and its impact on South Asia; the continuing doublespeak of the US on Pakistan’s state sponsored terrorism; and the existence of the overseas network of the Liberation Tigers of Tamil Tigers (LTTE) and the financial support it enjoys. According to the report, ISIS’ unprecedented spread of brutality and its ability to recruit foreign fighters and use the social media to inspire “lone wolf” attacks have helped it to “supplant” al Qaeda (AQ) as the leading global terrorist group. To substantiate it, the report says “the prominence of the threat once posed by core al Qaeda diminished in 2014” and avers the significant losses of its core leadership in Afghanistan and Pakistan “the AQ leadership appeared to lose momentum as the self-styled leader of the global movement” to the ISIS. It attributed it to the ISIS’ “rapid expansion and proclamation of a Caliphate". Social media-generated sabre rattling notwithstanding, there’s little chance of actual military conflict between the two nuclear-armed adversaries. India and Pakistan are not going to have a nuclear Armageddon anytime soon despite the media noise and social media sabre rattling. For the last few weeks, a series of opinion pieces in various American papers appear to be focusing on the potential for armed or nuclear conflict between India and Pakistan. The latest report by Stockholm International Peace Research Institute (SIPRI) has helped to add fuel to the existing fire, as have reports over India’s recently conducted joint covert operations against insurgents with its eastern neighbour Myanmar. A form of surrealism seems to have overtaken reports on India and Pakistan. Two recent articles have discussed the possibility of India and Pakistan heading towards an armed conflict. One of them focuses on the social media generated sabre rattling between Indians and Pakistanis after Indian special forces conducted a successful joint operation against insurgents based in Myanmar. It appears as though the writers are ignorant of history India and Pakistan indulge in such brinkmanship on an annual basis. The Ghost of Thucydides: Is War in Asia Inevitable? ASEAN’s leaders are worried about what history tells them about the future of Southeast Asia. The fears about the lessons of history are a discordant note as ASEAN steps up to a great moment in its history—the creation of an economic, political-security and social Community in December 2015. Perhaps this moment of historic creation is partly driven by dark understandings of history. As ASEAN embraces a date with regional destiny, its leaders are invoking some tough history as reference points. The President of the Philippines, Benigno Aquino, stirs headlines by comparing China with Hitler’s Germany. In this metaphor, the Philippines has the role of Czechoslovakia. Aquino ran this line last year to The New York Times and during his recent visit to Japan. The point about Aquino’s history isn’t just the Germany–China analogy, but the casting of the US in the Britain/France role—the great powers that stood mute while the small state (the Philippines as Czechoslovakia) got monstered. A new exhibition at the American University Museum in Washington marking the 70th anniversary of the bombings of Hiroshima and Nagasakiportrays the Japanese people incinerated by the blasts and sickened by radiation as victims. On display are artifacts that survived the bombings and art depicting the people caught up in the maelstrom. But if the Japanese people killed and injured by the atomic bombings were victims, what were they victims of? War crimes committed by the Truman administration? 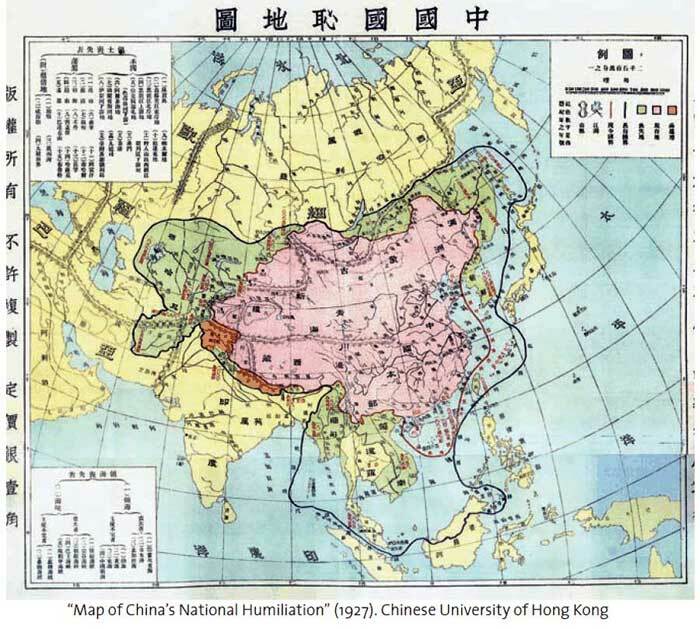 The Japanese government’s reckless decision to invade China in 1937, occupy French Indochina in 1940, and attack the United States as well as the British Commonwealth in 1941? The unwillingness of Japanese military and civilian officials to admit they had been defeated and thereby risk the annihilation of the Japanese people by fighting on? What are Chinese attack submarines doing in the Indian Ocean, far from China’s maritime backyard, in what is the furthest deployment of the Chinese Navy in 600 years? Two Chinese subs docked last fall at the new Chinese-built and -owned container terminal in Colombo, Sri Lanka. 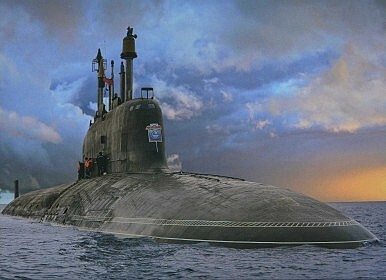 And recently a Chinese Yuan-class sub showed up at the Pakistani port city of Karachi. 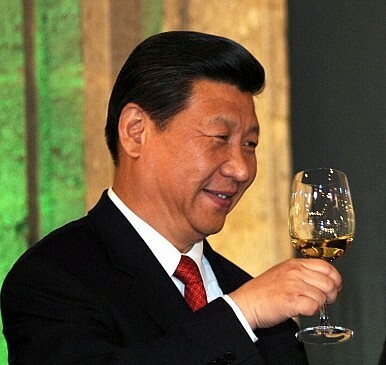 Like a debutante in the global arena, China has been particular about its national image. After decades of revolutionary diplomacy that challenged the international system, the Peoples Republic of China (PRC) has worked hard to ease the concerns of countries that used to be targets of its revolutionary activities. It is now consciously projecting a savvy national narrative. It has taken care to reword its “rise” to “peaceful rise” and beyond that to an even more mild term – “peaceful development”. It visualises an important role for itself in creating a “harmonious world” and thereby presenting an image of a cuddly panda rather than a fire snorting dragon. Responding to China's Rise: Could a 'Quad' Approach Help? Should the United States, Japan, India and Australia coordinate certain aspects of their China policies to ensure a peaceful Indo-Pacific region? On the sidelines of the ASEAN Regional Forum meetings in 2007, assistant secretary–level diplomats from four countries—the United States, Japan, India and Australia—convened the “quadrilateral security dialogue.” Then, after only one meeting, largely in response to complaints from Beijing, the initiative died. For the sake of long-term peace and security in the Indo-Pacific region, it is something that should be revived. Dr. Mark Brawley, a professor at McGill University in Montreal, has done some interesting work looking at the misalignment of policies among British, French and Soviets in the lead-up to World War II. He demonstrates that largely due to domestic factors, the three countries developed such different strategies for dealing with German power in the 1920s that by the 1930s, it was virtually impossible to formulate an effective coordinated response. Once again, China is calling for Japan to stay out of the South China Sea issue. A Japanese surveillance plane flew over disputed waters in the South China Sea on Tuesday, as part of joint drills with the Philippines. As The Diplomatreported previously, the Philippines is holding separate drills with the United States and Japan this week, with both exercises held near the South China Sea. The Japan-Philippine drill, only the second ever between the two countries, simulated maritime search and rescue operations, part of the drill’s larger focus on humanitarian assistance and disaster relief. 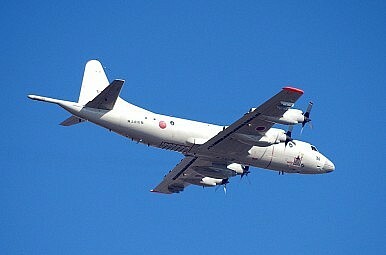 As part of the drill, a Japanese Maritime Self Defense Force (MSDF) P3-C Orion surveillance plane flew past Reed Bank, an area claimed by both China and the Philippines. The Japanese plane carried three Philippine crew members on board as guests, and was accompanied by a Philippine patrol aircraft, Reuters reported. 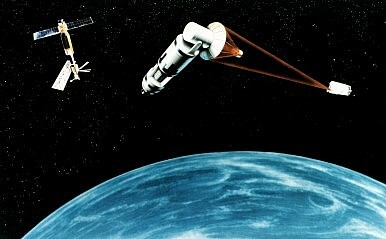 The American military will set up a new command center to better coordinate responses to attacks in space. U.S. Deputy Secretary of Defense Robert O. Work announced on Tuesday at the 2015 GEOINT symposium—an annual conference convening leaders from the American geospatial intelligence community—that the Pentagon will set up a new joint command center to better coordinate responses to attacks on U.S. military space assets, Marcus Weisgerber over at Defense One reports. Consequently, Work and other senior Pentagon officials are pressing hard to setup a new joint coordination and planning cell, which will receive data from satellites belonging to all U.S. government agencies and should be opened within six months. The new operations center is part of a $5 billion increase for space security as outlined in the FY2016 Defense Department budget request, Weisgerber notes. Just like China’s overheating stock market, the ‘OBOR’ debate needs to cool down if it wants sustainable development. Ever since Chinese President Xi Jinping put forward the idea of “One Belt, One Road” (OBOR) in 2013, Chinese scholars have pursued the idea with unprecedented interest and energy. Numerous conferences have been organized to discuss various aspects of the various OBOR initiatives and there already have been some tangible results. However, overall the situation of OBOR research is not healthy as too many scholars who are poorly trained to study OBOR in detail have used the initiative to advance their other academic or non-academic interests. This situation must be changed, otherwise it will jeopardize China’s OBOR initiatives in the long run. Specifically, there are three main problems with the current frenzied discussion on OBOR. A new report outlines the way forward for the United States in the Middle East. There is little doubt that the sudden rise of ISIL—made stark by the group’s seizure of Mosul, Iraq’s third largest city, in June 2014—caught the Obama administration flatfooted, despite earlier, alarming ISIL gains in Anbar Province. It announced a strategy the goal of which, in Obama’s words, is “to degrade and ultimately destroy” ISIL. The United States, with support from allies, has launched air strikes against ISIL in Iraq and Syria; it has assembled an international coalition, from within the region and beyond it, to confront ISIL; it has assisted Iraqi forces, which have scored significant successes, notably the recapture of Tikrit, as well as reverses, such as the loss of Ramadi; and it has ramped up support for the moderate Syrian opposition. Yet the criticism of the administration’s approach to ISIL—and, more broadly, Iraq, Syria, Yemen, the Persian Gulf and, indeed, the wider Middle East—has remained vociferous. This criticism focuses on both the purported tardiness of the administration’s response and the allegedly half-hearted nature of that response. Does America Even Have a Strategy to Defeat ISIS? Contrary to Obama's opponents, the administration does have a strategy...it's just not a good one. The knock du jour on the Obama administration is that it has no strategy against ISIS. In an inelegant turn of phrase, President Barack Obama said, “we don’t yet have a complete strategy” to combat the terrorist group occupying large swaths of Iraq and Syria. His opponents, from John McCain to a number of Republican presidential hopefuls, unsurprisingly came after him for this. What most missed is that Obama does have a strategy; he laid it out onSeptember 10, 2014 for all to hear (making the criticisms and even the president’s own comments misplaced). The real debate should center on whether the president’s plan is the right strategy and whether the administration’s approach to achieve the strategic objectives is correct. The jihadist group that calls itself the Islamic State has increasingly set its sights on expanding into North Africa. The eighth issue of the group’s English-language magazineDabiq was suggestively titled “Shari’ah Alone Will Rule Africa,” with the cover displaying a photograph of the Great Mosque in the Tunisian city of Kairouan. This signaling left no room for doubt about the Islamic State’s designs on the region. The Islamic State has devoted considerable resources to its expansion, whether through mergers and acquisitions with existing jihadist groups or by encouraging splinter groups and defections from rival jihadist entities. Several reasons exist for the Islamic State to expand its territorial holdings outside of Syria and Iraq. First, expansion serves its propaganda needs, as it blunts any territorial losses that the group may experience in Syria and Iraq, and allows the Islamic State to maintain the image of momentum and strength that is so integral to its recruitment strategy. Second, expansion improves the group’s resilience. Just as al-Qaeda’s affiliate strategy has complicated U.S. counterterrorism efforts, the Islamic State’s movement into new arenas allows the group to withstand counter-network operations against one of its nodes. Congressman Devin Nunes (R-CA 22nd District), Chairman of the House Intelligence Committee,said on CBS’s Face the Nation this past Sunday that ISIS posed a severe and pending threat to the United States. The FBI, on June 17th, told ABC News that it’s in the midst of attempting to disrupt ISIS operations in all 50 states, an historic first for domestic terror threats. This follows similar and recent warnings about ISIS from Homeland Security Secretary Jeh Johnson and former CIA head Mike Morell. While all these warnings are prudent, none have provided the strategic context behind the threat environment, which is this: America is embroiled in an irregular world war with Islamist jihadists. If it doesn’t rise to the occasion and confront the threat more effectively, America runs the risk of international strategic decline. This war is indeed global. Every region on earth is bearing the brunt of Islamist jihad terrorism and insurgency: Asia, Africa, Europe, North America, etc. Even areas that haven’t seen jihadist attacks as of late like Latin America have at least seen Islamist jihadist intelligence, financing, and logistics activities. When three influential American Russia experts call for a substantive US-Ukrainian strategic partnership, it’s time to listen. Please take note: the three experts take for granted that such a partnership exists and strongly imply that it should exist. They’re calling, not for establishing such a relationship, but for filling it with appropriate substance. "It is a confession of the bankruptcy of our defense policies that the Navy has become so small that it takes years to provide adequate resources to meet our needs in the Asia-Pacific." The Obama administration’s “rebalance” to the Pacific is manifestly failing to prevent Chinese expansionism. The reason is that China’s rapid military buildup is shifting the regional balance of power in their direction. Until the United States and its partners reinforce their own position in the region, China will continue its coercive tactics in the East and South China Seas, increasing the risk of armed conflict, and undermining both the rights of neighboring countries and the vital interests of the United States. The entire world has now heard of China’s actions across seven islets and reefs in the South China Sea and its ongoing conversion of those features into military installations. But that is just the latest in a series of aggressive Chinese actions over the last several years. Australia is set to begin testing its second Canberra-class Amphibious Assault Ship (LHD), which is also known as a helicopter landing ship. In a statement, BAE, which helped build the ship, said that the NUSHIP Adelaide, the second of two planned Canberra-class LHDs the Royal Australian Navy is building, left port in Williamstown to begin sea trials. “We will undertake approximately 240 hours of testing over 20 days to ensure all systems perform to their capability. Some of the trials will run concurrently and cover everything from basic systems operations such as alarms, to the ship’s manoeuvrability while at sea,” Bill Saltzer, BAE Systems Director of Maritime, said in the statement. The ship will first travel to Sydney where it will dry docked in order to clean and paint its hull and flight deck. It will then travel back to Williamstown, arriving sometime in mid-July. Later, in August, the Adelaide will undergo a second set of sea trials, which will focus on its communication and combat systems. Trade secretary delivers Manila’s clearest declaration of intent yet. The Philippines is committed to joining the Trans-Pacific Partnership (TPP), the country’s trade chief confirmed Wednesday morning in the clearest declaration made to date on the issue. “I want to state clearly and irrevocably that we want to join TPP,” Philippine trade secretary Gregory Domingo told a conference at the Center for Strategic and International Studies, a Washington, D.C.-based think tank. Domingo’s statements come after what some perceived as ambiguity in recent months about the Philippine position regarding the U.S.-led agreement, whose members currently represent more than half of global output and over 40 percent of world trade. Reports in late March had suggested that Manila would not take part in TPP negotiations under the current government due to legal and constitutional complications which imposed significant time constraints. Some had interpreted this to mean a general unwillingness of the Philippines to commit to the pact at all. On June 23, a memorial ceremony to remember the civilians whose lives were lost in the Battle of Okinawa was held in Naha. 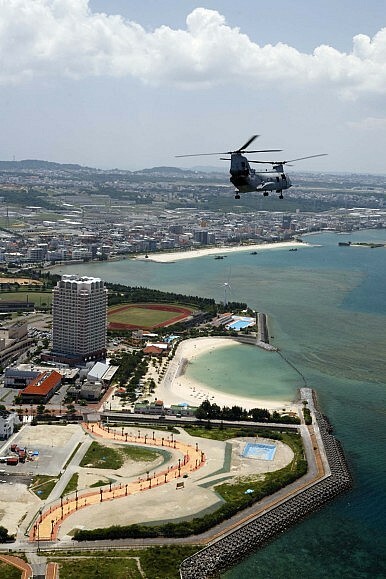 While the ceremony was supposed to be a day of remembrance, this year’s ceremony impressed the seriousness of the problem Prime Minister Shinzo Abe and his government have vis-à-vis Okinawa. During the ceremony, Governor Takeshi Onaga broke from tradition by explicitly reiterating his opposition to the government’s plan of relocating U.S. Marine Corps Futenma Air Station to the less populated northern part of Okinawa Prefecture to a location off of Camp Schwab in Henoko. Abe, while continuing the practice of attending the ceremony as he has since 2013, expressed his displeasure by meeting Onaga for only five minutes before returning to Tokyo. In 2013 and 2014, Abe attended the memorial ceremony and met then-Governor Hirokazu Nakaima over lunch before returning to Tokyo. "Standing in the way of victory are two key issues, both of which are resolvable." 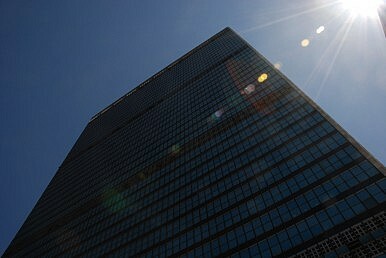 As officials from Iran and the permanent members of the United Nations Security Council plus Germany (P5+1) negotiate around the clock in Vienna, the self-imposed June 30 deadline steadily approaches to seal a comprehensive nuclear deal. The Obama and Rouhani administrations should be commended: The amount of progress made in the past eighteen months is greater than the preceding decade combined. The two sides are now on the cusp of a historic deal that will be one of the greatest foreign policy achievements in recent memory. Standing in the way of victory are two key issues, both of which are resolvable: Sanctions relief, and inspections and verification. The United States needs to develop more “usable” nuclear weapons to deter future conflict, according to a new think tank report. In the report, Clark Murdock argues that the United States should develop and deploy more low-yield tactical nuclear weapons to deter adversaries from engaging in low-level nuclear aggression. “The United States needs to develop and deploy more employable nuclear weapons, ones that enable the United States to respond directly and proportionately to an adversary’s employment of a nuclear weapon,” Murdock writes. • The two most important agencies in the Government—the Ministry of Defense (MoD) and the Ministry of Finance (MoF)—came to markedly different understandings on the implications of India’s PNE. Ironically, the MoF advocated for considering the PNE as a nuclear deterrent, while the MoD argued against it, on account of the absence of a weaponization program. 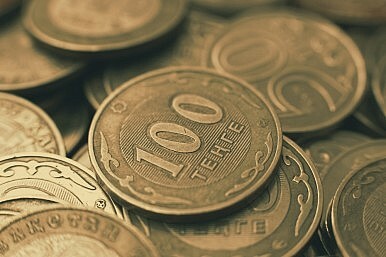 A whistleblower in Britain says a massive British catering company took bribes from the Kazakh government. 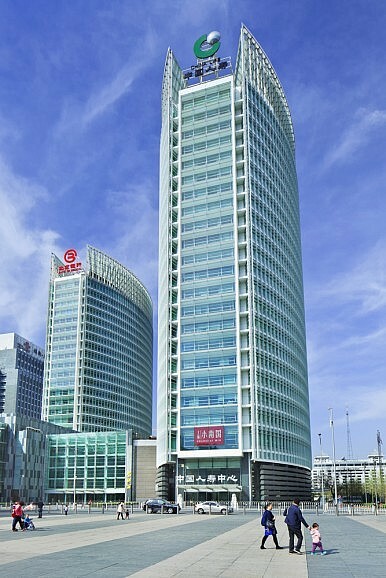 Earlier this week, the Guardian reported that a subsidiary of Compass Group, the British catering and services giant, took bribes from counterparts in the Kazakh government for lucrative contacts. The scandal was exposed last year when Karim Pabani, the finance director of Eurest Support Services (ESS) between 2011 and 2013, sued his former employer which had fired him after he repeatedly brought issues of corruption to his superiors.